Parent/Guardian understands that they must complete a NACA Tuition Contract online with Right Signature™ – an online form that combines best practices in authentication, security, and reliability with exclusive technology to walk signers through filling out form fields and creating a biometric, handwritten signature in the browser. The completed form is automatically returned to NACA and a copy is sent directly to you for your records. All tuition questions and concerns will be only addressed by emailing the NACA Comptroller at: comptroller@noahsark-christianacademy and not the NACA Office or Staff. The Noah’s Ark Christian Academy (NACA) Tuition Contract begins upon completed enrollment. The Tuition Contract is not valid until all the online required Bright From The Start forms are completed online: Enrollment Form (for each child), Family Handbook Form (one form per family), Transportation Form (for each child), Vehicle Emergency Medical Form (for each child) and BFTS Income Eligibility Form (one form per family). Parent/Guardian understands that to properly INITIATE AND AFFECT THE CANCELLATION of the NACA Tuition Contract prior to end date listed above, Parent/Guardian must submit the online NACA Tuition Withdrawal Form at least two (2) weeks PRIOR to the last Friday that my child will be in attendance. (Complete the online form by visiting www.noahsark-christianacademy.com, click on ‘For Parents’, click on NACA Tuition Withdrawal Form and complete and submit). NOTE: NACA reserves the right to CANCEL immediately for any reason of violations of policies or unsafe behaviors by children and/or parents or their representatives. In this matter, NO REFUNDS WILL BE ISSUED. NACA uses Tuition Express™ – an automatic payment processing system that allows on-time tuition and fee payments to be paid from your checking or savings account, or Mastercard or Visa credit card. This is an easy, safe and convenient tuition collection method and allows the NACA office and staff to focus on quality programming and continuous care of your children, rather than accounting and paperwork. Parent/Guardian understands that NACA Tuition is always due PRESENT OR ABSENT AND DURING ANY WEATHER ANY/OR EMERGENCY CLOSURES. Parent/Guardian understands that NO TUITION WILL BE CHARGED when NACA is CLOSED the following two weeks: the week that includes December 25 and the week that includes July 4. NACA’s additional official closed holidays: Labor Day, Thanksgiving, New Year’s Day, Memorial Day. There is no refund when one of these holidays occurs Monday through Friday. Parent/Guardian understands that they will receive a 5% tuition discount for each additional older child in the same family. Parent/Guardian understands that their weekly tuition is submitted to their bank account every Friday before the next week of service begins. Sufficient funds should be made available in your bank account by 12:00am every Friday morning. 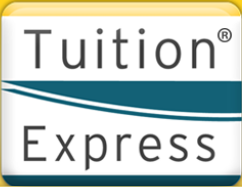 Parent/Guardian understands that Tuition Express does not have control when this charge will be posted to your account. Parent/Guardian understand that there is a $35.00 fee for the first payment returned for insufficient funds, the second time the fee increases to $45.00, the third time the fee increases to $55.00 During the course of this contract, NACA reserves the right to immediately withdraw their family. The total amount of the returned tuition charge and additional return fees must be paid in full either by credit or debit card to the NACA Director within 24 hours of notification to avoid NACA invoking their right to withdraw your child. Parent/Guardian understands that NACA Tuition includes up to 11 hours of daily care from 6:00 am to 7:00 pm including the Before/After School Care. Parents understand that their child must be picked up no later than 7:00pm. A late fee of $1.00 per minute, per child will be due for the time their child remains at NACA after 7:00 pm. * If eligible for CAPS, parents will provide a copy of their current CAPS certificate for each child. NOTE: The Tuition Contract is subject to change if CAPS payment changes during the course of this contract. *The CAPS Program may pay to hold a slot when the child care provider has a written policy which requires payment for holding slots. *The CAPS Case Manager and parent should negotiate with the provider the amount the provider will accept. *An amount less than the regular payment, while the child is not in attendance, is acceptable. *Child care slots may be held for personal illness or while the responsible person is home temporarily due to a mandatory closing of the work/school/training site. *Payments for holding slots cannot exceed two billable weeks per certification period. *The child care provider may claim reimbursement on the child care invoice. *Child care can be suspended if care is not needed for a limited period of time and is expected to resume. *The suspension of subsidized child care cannot exceed 12 weeks per occurrence. *The CAPS case manager must approve the suspension in advanced. *Parent is not participating in an approved activity due to verified: maternity leave, medical leave, loss of employment due to layoffs, summer break, etc. *Parent has not obtained employment at the end of their eight (8) week job search. *Temporary Assistance for Needy Families (TANF) applicants/recipients are not participating in a state approved work activity, because one activity has ended and another state approved work activity has not yet begun. *Parent reveals that an extended absence from child care is needed due to a family’s unique situation, such as child going to stay with grandparents, father, mother, other person during the summer/holiday, etc. *When child care is suspended, CAPS does not make payments to the provider.